I’ve been enjoying Thug Kitchen a lot lately and decided to try out their peach pancakes over the weekend – shown here topped with banana, strawberries and agave. I have to say, my first reaction was disappointment: I made the batter the night before and the pancakes came out wet and stodgy despite extensive cooking. So, imagine my surprise when I decided to use up the leftover batter midweek…the result was fluffy and delicious and exactly what I’d been expecting with my first try. The difference? I think in the meantime the heavy wholemeal flour had time to break down a bit…so next time round I’m going to experiment with different flours/flour mixes. Fortunately my Goth is a huge fan of breakfast pancakes. 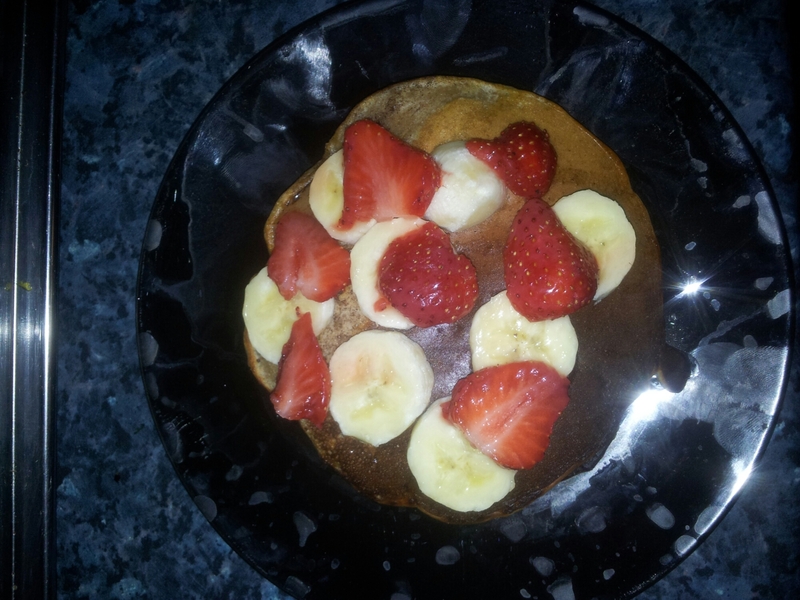 This entry was posted in Food and tagged fruit, pancakes, vegan, wholewheat. Bookmark the permalink.